Fulham boss Roy Hodgson acclaimed Bobby Zamora's brilliant strike which was the highlight of the 2-1 victory over Bolton. Zamora expertly evaded Danny Shittu and Gavin McCann before sending an inch-perfect finish beyond the grasp of goalkeeper Jussi Jaaskelainen to put Fulham 2-0 up by half-time. Fulham were already ahead thanks to Zoltan Gera's opener and Hodgson was delighted with the impact made by Zamora, a summer arrival from West Ham. "Bobby has the ability to do things like that. He's got good feet but sometimes he has to be careful not to overdo it," he said. "It came off for him that time and we've been working hard on him releasing the ball a little bit quicker to fit in with our style. "It didn't surprise me that he pulled that goal off because we see it all the time in training. For a big man he has a lot of technical ability." Zamora's display overshadowed Andrew Johnson's eagerly-awaited Fulham debut. But Hodgson was just happy to get the £10.5million signing from Everton on the pitch after his thigh injury problem - with chairman Mohamed Al Fayed also eager to see his acquisition in action. "Johnson looked very hungry. The chairman has been anxious to see him after paying a lot of money for him," he said. "The chairman wanted to see what this product was that he'd bought. We had to calm both the chairman and Andy down because Andy will play through injuries. "We wanted to be 100% certain he'd be okay to play and would be fit mechanically because thigh strains can be difficult." Fulham lit up Craven Cottage with a thrilling passing game which tormented outclassed Bolton until Kevin Davies pounced with nine minutes left to set up a tense finish. 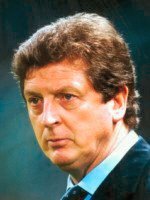 "I'm pleased with the quality of football we produced for the first 80 minutes and the fact we dominated so totally during that time," said Hodgson. "Then we dealt quite well with the threat Bolton always pose with their playing style. "After conceding that rather unfortunate goal, which was more of a slump than clear goal chance, we showed the character to stand up to them. "We knew then we would take a battering with balls being fired into our penalty area and I'm pleased we proved we can deal with that. "We created a lot of chances and their 'keeper had to make at least five top-class saves." Bolton manager Gary Megson blamed shoddy defending for Zamora's strike but admitted it would have been an injustice had his side salvaged a late point. "It was a good goal by Bobby but our defending was poor as we should have made him stay wide," Megson said. "Danny Shittu let him inside and we weren't quick enough to recover. "It would have been harsh on Fulham if we had got a point but we got ourselves back into it with 10 minutes to go. "The effort that we put in was superb. Kevin Davies played well, as did Ricardo Gardener. "Apart from that we had a lot of people who weren't at their best. We won't win many matches with the level we're at right now. "The difference was Andy Johnson and his running power."